Total sent its CEO to Riyadh for Saudi’s flagship conference despite its role in a Saudi journalist’s death. HSBC fielded a big team, too. Firms strive to be larger, profitable and ethical, but often only achieve the first two. Profit’s lead over ethics appears to be narrowing. 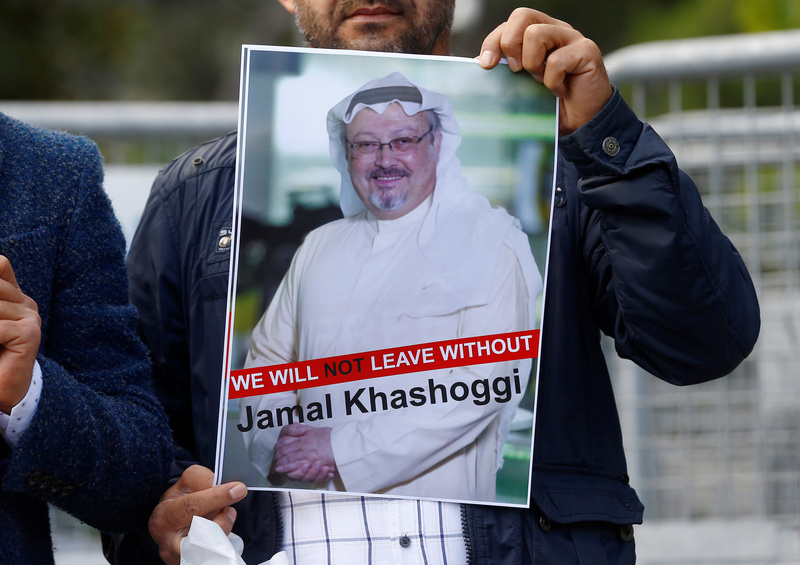 A demonstrator holds picture of Saudi journalist Jamal Khashoggi during a protest in front of Saudi Arabia's consulate in Istanbul, Turkey, October 5, 2018. Total Chief Executive Patrick Pouyanné attended the Future Investment Initiative held in Saudi Arabia on Oct. 23-25. CEOs from a range of companies including BlackRock, Société Générale, and JPMorgan withdrew from the investment conference after the killing of Jamal Khashoggi, a prominent critic of Saudi rulers, at the kingdom’s Istanbul consulate. “I am convinced that an 'empty chairs at the table' strategy serves no useful purpose, especially when it comes to respect for human rights,” Pouyanné said on Oct. 22. Total said on Oct. 26 that third-quarter net operating income rose to $4.5 billion, up 49 percent from a year earlier, helped by a doubling of exploration and production net operating income to $2.9 billion. The French energy group said adjusted net income rose 48 percent over the same period to $4 billion, and this month announced a $9 billion petrochemicals project in cooperation with Saudi Aramco. HSBC and Credit Suisse sent the biggest team of bankers to the Future Investment Initiative, IFR reported on Oct. 24. Total shares were trading at 50.3 euros, as of 0805 GMT on Oct. 26, down 2.2 percent.